Keeping the Lakota language vital and vibrant requires both people-power and financial support. Financial support for the cause is a great way to contribute, and we offer many ways that you can donate to save Lakota. You can also get involved through action. Raising public awareness of the Lakota crisis and the visibility of the Lakota movement is as key to saving and revitalizing the language as financial support. Find out all the ways that you can become a Language Activist below. Revitalizing and protecting a language is an enormous task that requires the work of many. Financial support for the efforts LLC and our affiliated organizations and communities is always needed. 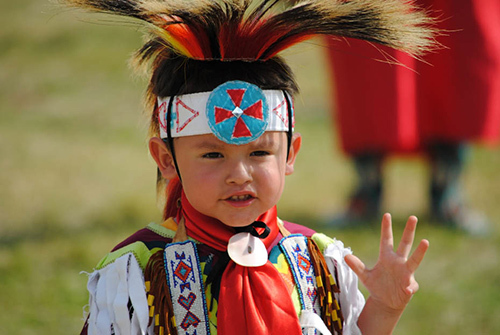 Your gift will further the Lakota Language Consortium's ability to serve tribes, schools, teachers and students with educational publications and training events. You can donate to Lakota Language Consortium in many ways. We accept monthly donations, tribute gifts, securities and several other forms of donation. Ask us how to donate by mail, phone or wire transfer. Learn an indigenous language and spread that knowledge in the classroom and in the community. Contact your government representatives and ask them to support language preservation. Create or join awareness events. Raising public awareness of the language-loss crisis is key to saving and revitalizing endangered native languages world-wide. The Lakota Language Consortium creates language learning materials, trains teachers, organizes conferences and produces both digital and print media in Lakota. From the Lakota Summer Institute to the Lakota Berenstain Bears, we are never idle.